Hillary Clinton’s campaign manager might watch ’13 Hours’ and let out a long sigh of relief. Not so fast. Yes, Michael Bay’s take on the Benghazi attack that left four Americans including Ambassador Chris Stevens dead doesn’t name check the former First Lady. And it’s as aggressively apolitical as feasible given the subject matter and the tenor of the times. The movie still will help audiences connect the dots between the heroes on the ground and the fact that help never arrived during that protracted battle. 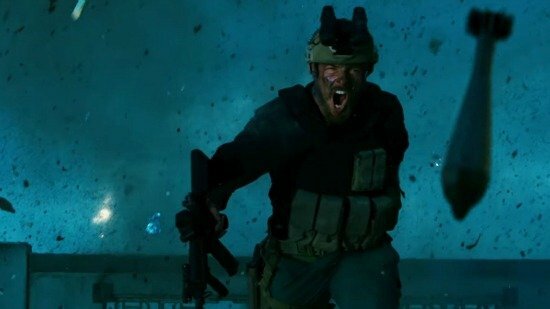 “13 Hours: The Secret Soldiers of Benghazi” dances around that inconvenient truth, with talk of “standing down” and shots of nearby airplanes perfectly still, their pilots ready to answer the call that never came. Bloated government bureaucracy is in Bay’s cross hairs. Viewers can tie that to both Clinton and President Barack Obama if they wish as they file out of the theater. This is a profoundly moving film no matter one’s political stance. It brims with all the action of a blockbuster film, but the fireworks never lose sight of the security officials’ humanity or heart. Bay does more than resist the urge to film a series of political talking points. He curtails his signature, flaws, from one-dimensional characters to cartoonish plot divots. In their place stands a mountain of a movie, a tribute to warriors who refused to buckle under hellish conditions. The thriller begins by pitting men of action versus Harvard grads who think they always know what’s right. A new group of security officials, Navy SEALs and former Marines, arrive in Libya to help secure the U.S. diplomatic mission in Benghazi. An early sequence highlights the region’s instability. Consider it foreshadowing for the main event. The security forces quickly see that Ambassador Stevens’ dwelling isn’t secure enough to guarantee his safety. That means it’s no match for a swarm of Islamic militants who attack on the anniversary of the Sept. 11 2001 attacks. Only wave after wave of armed radicals didn’t anticipate an elite group of U.S. military veterans would do all they could to repel their firepower. “The Office’s” John Krasinski, bearded and brawny, leads the tight ensemble cast. Both he and James Badge Dale connect as soldiers with rich internal lives. These aren’t your typical film heroes. They weep for the moments they’re missing back at home. The film’s first half buzzes with dread, brought on by Bay’s keen direction and an unnerving score. Perhaps we simply know too much of what lies ahead. It’s also how Bay depicts the frenzied street bazaars and exchanges between the security forces and Libyan civilians. Everyone is a potential threat. No one knows where a person’s loyalties fall. It’s a fear of what lurks around every corner. For all of Bay’s signature bombast, the sequences reflect the most honest movie making of his career. Still, there are times in ’13 Hours’ when you see Bay’s worst instincts threaten to erupt. The man in charge at the diplomatic compound (David Costabile) refuses to do anything that isn’t by the book, even if lives are at stake. A comely female agent (Alexia Barlier) berates the security team when they interrupt her precious negotiations. Screenwriter Chuck Hogan refuses to let key players devolve into stereotypes. Everyone is granted a measure of dignity, from the aforementioned characters to the women who mourn the loss of their Libyan brethren. 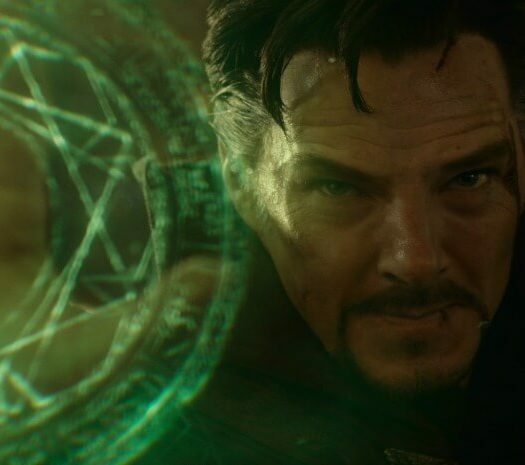 It’s like Bay realized the stakes are so much higher than simply bringing cool toys to life. And he channeled his gifts appropriately. The film’s unwillingness to blame a political party or politician is both admirable and maddening. What emerges is an anxiety that will grow in the pit of movie goers’ stomachs. The Benghazi soldiers exhibit a restraint that borders on fanaticism. One security member prays he doesn’t have to kill a kid, wishing the lad will walk away and not flash an RPG or rifle. Another says he doesn’t want anyone firing prematurely and risking prison. And when the militant forces start massing around the compound for no other reason than to attack, the security team waits … and waits. They must see direct evidence of hostility before opening fire. It doesn’t matter that squandering precious seconds means given the enemy an even greater advantage. It’s enough to make U.S. audiences worry we could lose the greater war against radical Islam given these paramaters. ’13 Hours’ focuses on the heroes at Benghazi, not the politicians pulling the strings. If Bay had simply translated the actual attack to the big screen without inserting any talking points he would deserve applause. He also connects to the soldiers’ personal lives in small but profound ways. We watch them Skype with their wives and children back home. They talk about the guilt that comes with being overseas in war-torn lands. They worry the marital bonds strained by their absence won’t snap back when they return. One soldier, when the bullets finally stop flying, says he fears the quieter moments in battle the most. It’s when he can process the shock and loneliness balled up inside him. This isn’t jingoism. It’s thoughtful storytelling delivered by a first-rate cast. “13 Hours” does offer some subtle jabs at the government officials forced to explain themselves in the attack’s aftermath. “State [Department’s] already blaming [Ansar] al-Sharia” one character says. Yes, that’s the same State Department whose leader initially pinned the attack on a video protest. Why weren’t there more security measures in place a the time of the attack? “Uncle Sam’s on a budget now,” we’re told. One Benghazi soldier notes the news back home suggests the violence began as part of a protest. “We didn’t hear any protests,” the character insists. These references dot the movie without ever stopping it cold. 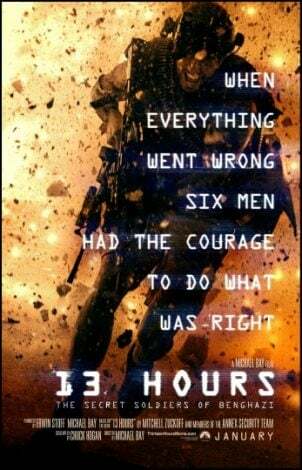 Bay does lose control of “13 Hours” at the midway mark. The fog of war is no excuse for how confusing the initial compound siege proves. It’s the kind of visual chaos he stumbled over in several “Transformers” films. Here, the emotional stakes take a serious hit. Bay eventually resumes his firm grip on the material. His camera gently zooms over the compound by air, capturing the zinging bullets and the scope of the attack. Even when the enemy retreats we know it isn’t over yet. There’s more fighting to be done. “13 Hours” wraps with a fitting ode to the real-life Benghazi soldiers. The sequences tap into the same sense of duty “American Sniper” delivered. Bay’s film doesn’t rise to that artistic level. It’s still a remarkable film honoring the security team that saved so many lives when their own government stood down. DID YOU KNOW: Ambassador Chris Stevens requested 11 more bodyguards roughly a month before the attacks, saying, “Host nation security support is lacking and cannot be depended on to provide a safe and secure environment for the diplomatic mission of outreach,”.